Lewis Carol, Alice in Wonderland. My ribs are healing. I broke “only” one in the collision I was in, but as a friend pointed out, it didn’t break from precision impact on that one spot; the left side of my rib cage was hit with enough blunt force that the top one broke. My ribs performed their function admirably: they protected my lungs and other internal organs. And they all took a pounding. I’m now between four and five weeks out from my accident. For the first week, I was in severe pain most of the time, even with heavy medication. I couldn’t sleep very well (not my strength even when I’m ship shape) because finding a comfortable position lying down was very difficult and repositioning in bed was excruciating. Pain, it turns out, is not a soporific. Having your heart banging in your chest and your jaws ache from clenching together is a lousy lullaby. 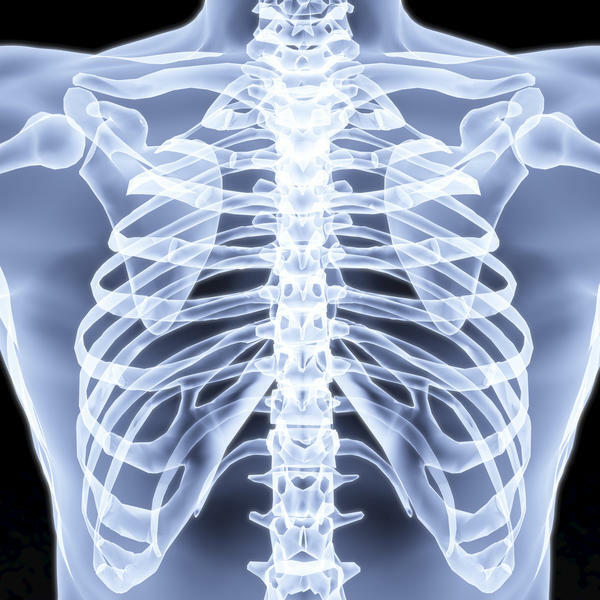 I didn’t realize how much we use our abs and lats and all the parts connected with our ribs until one of them was busted–then I realized with shocking clarity. Today, I went on a longer hike. I’m back in the Pacific Northwest for our yearly visit. I hiked yesterday, too. I try to hike nearly every day I’m back, since it is one of the things I miss most about living here. On yesterday’s hike, my friend John, who is ridiculously cut and would be embarrassing to be around–for me–if I worried about such things, forgot that I had been in an accident. We always hike together when I’m visiting, as his company is another of the things I miss most. So he went charging up a path that had been buried by fallen trees from last winter. We did more climbing over and under than we did straight hiking. I loved it. All of my friends have treated me like a china doll with cracks since my accident. Obviously, that was a kindness that I appreciated immensely in week 1. But by now I’m ready to be done with the awkward, minimalist hugs. John, safe to say, did not err on that side. I didn’t mention it until we had gotten to the top and were standing, gazing at hidden like. No, actually, I loved it. My healing hasn’t all been linear. I’ve only caused myself one significant setback–that I’m aware of–when I tried to lift a large water container and severely strained my just-knitting-together ribs. Didn’t do that again. But I was re-injured far worse when a hard sneeze caught me by surprise. I was gasping and moaning for several minutes before I could even breathe normally again. I felt like I lost about four days of progress from that one sneeze. Coughing, laughing and sneezing were all enemies, but sneezing was by far the worst. Three weeks ago, I could laugh again, not a hide-behind-my-hand titter but a genuine, full-blown laugh. Two weeks ago, I started to be able to cough again, lightly, and with the right contortions it didn’t hurt, too much. Last week, just before we left Nicaragua, I had regained my ability to sneeze. Sneezing may not feel like a privilege. Believe me, though, when you can’t without yelping, and it turns out it’s bloody involuntary and (sometimes) unstoppable, being able to relax about one sneaking up is roughly the equivalent of no longer worrying about the bully waiting to jump you before algebra class (that’s where mine always punched me). That’s some of the day-to-day process. It’s wonderful to return to some normal activity without constantly causing myself distress. I’m still aware of it most of the time. I can’t lift my son, or wrestle or rough-house with my kids, or do anything that requires much strength. Three different health care folks (2 nurses and a physical therapist) told me I’m healing quickly because I was in good shape before the accident. The first two times, I thought they were just trying to make me feel better. The third time, I decided they really meant it (probably the ratio it takes for me, in general). When I finally took it seriously, I felt immensely encouraged. As I close in on fifty, staying in any kind of shape other than “default,” i.e. let things fall (apart) where they will, becomes a serious commitment. Finding out that I did myself one heck of a huge post-accident favor by waging this unwinnable war (think: Sysiphus) was like finding out those ballet lessons gave you the balance that kept you from falling down a cliff: not the actual purpose, but maybe a bigger bonus than that actual purpose. On the flip side, a close friend with a similar personality (I know, scary) warned me that I had to take it easy or I would prolong this process, as she had. She said hers took about 9 months. That sobered me right up. I’m a big proponent of remembering how badly things might have otherwise gone, rather than bemoaning how much better they could have been if only… I probably didn’t take it as easy as I should have. I started back walking about a week after the accident, not walking to the fridge but walking to school (about 4.8 kilometers, as it turns out). That didn’t feel great on my ribs, though moving did feel great…until the next morning, when it felt a very different word than great. I wasn’t able to breathe very deeply, either, which made it more difficult. But each day, my lungs could expand a tiny bit more before my ribs protested. I’m also an idiot and decided to play ultimate less than four weeks post-accident because it was, in fact, my last Sunday to play with our graduating seniors. Last time. Before you get your “I told you so” warmed up, I didn’t hurt myself. It went okay. I wasn’t completely comfortable running, but I wasn’t in pain. On one point, there was a throw to me which I could have easily caught–by diving. Letting it fall meant a turnover just outside the other team’s end zone, so most likely an easy score. I watched it drop. That was an act of self-control of which I didn’t know I was capable. I know, I know–showing self-control in something I shouldn’t have been doing in the first place wins me only a consolation prize. But still. Today, on my hike, I took a deep breath–and for the first time since I got hit, my lungs filled all the way. Yesterday, I still felt a hitch, a catch, where when the balloons of my lungs tried to expand all the way, my ribs cried, “Stop!” But about 28 hours later, it works! Breathing in evergreen forest by a lake in the mountains is a pleasure beyond chocolate. Now I can fully inspire again. It’s easy to forget that bodies are a wonder. It’s easy to get frustrated with the things we can’t do, especially when we had been able to do them before. It’s also easy to forget that we are organisms, and to make demands of our bodies as if we are mechanisms. I know I’m guilty of this, and of expecting more of my body than what is reasonable. But I can’t convey the wonder of having my ribs knit back together in my side. I’m grateful to be alive, to be mobile, and to be healing. Observing the weekly, even daily progress, reminds me both that I’m moving toward being whole again and that I could have been in pain like that for the rest of my life. Sometime I will be back to running, I hope even full speed (this year’s version). Today, my side is still tender to the touch. Yet what was broken in two has mended into one again. No cast, no wrap, no medicine, just bone cells that continue dividing and connecting until the broken pieces find each other and meld together again. It seems impossible, but it’s happening in my own body.